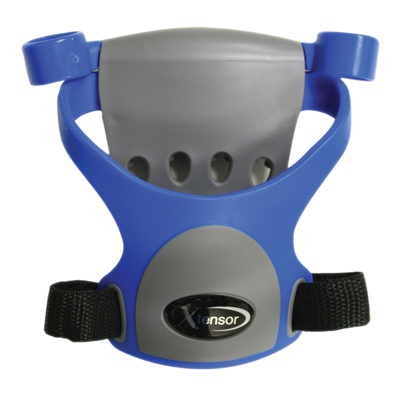 The Xtensor™ finger extension exerciser represents a breakthrough and is an essential tool for therapists treating patients recovering from: Tennis Elbow, Tendonitis in the Wrist, Overcoming the effects of a Stroke, Hand Trauma Rehabilitation, and much more. The one sided activity that is reflective of the work performed by the hands in everyday life can now be counterbalanced by The Xtensor with continuous tension applied to opening the hands using an optimal line of motion replicating the exact opposite movement to closing the hands. The unique thumb positioning allows The Xtensor to be used on either hand. 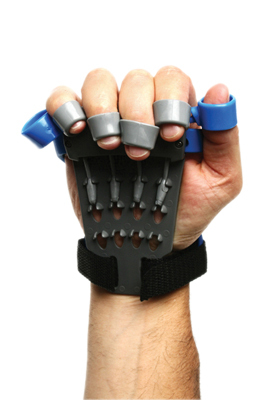 Each of the individual finger extensors can be independently positioned to achieve 3 different levels of resistance. 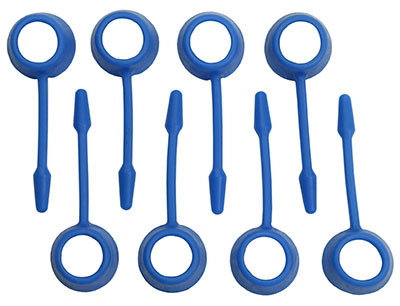 Dimensions: 3" x 6" x 6"
The Xtensor® finger extension exerciser represents a breakthrough and is an essential tool for therapists treating patients recovering from: Tennis Elbow, Tendonitis in the Wrist, Overcoming the effects of a Stroke, Hand Trauma Rehabilitation, and much more. The one sided activity that is reflective of the work performed by the hands in everyday life can now be counterbalanced by The Xtensor with continuous tension applied to opening the hands using an optimal line of motion replicating the exact opposite movement to closing the hands. The unique thumb positioning allows The Xtensor to be used on either hand. 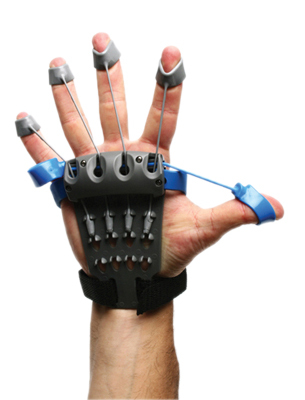 Each of the individual finger extensors can be independently positioned to achieve 3 different levels of resistance.